Houdini got his name by being a master of escape! As a feral kitten, he started life in a crate, so that he could learn to trust people, which requires him not running away. He got out. He and his siblings were moved to a different crate, with smaller spaces between the bars. He got out. He was put in a locked room, and he got out! By that point, his edges were worn off, and he was free to roam the house as he wished. 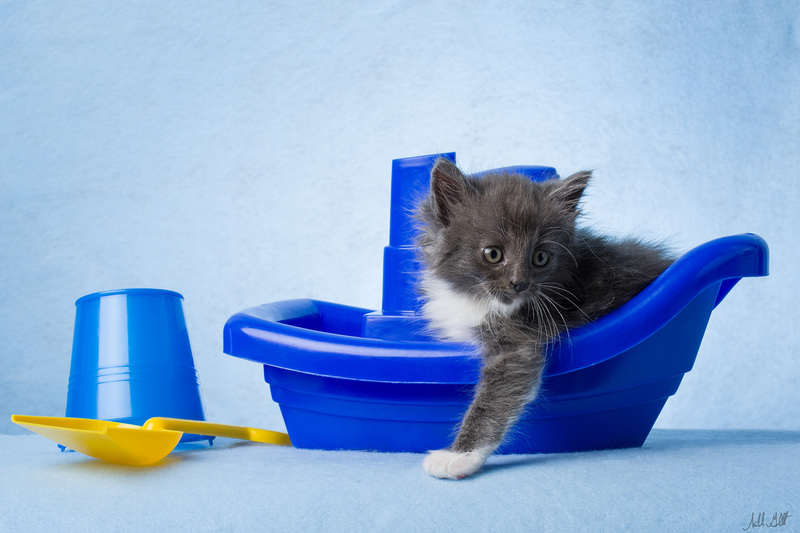 Houdini is a very smart kitten, and loves to play all day! When he does get tired, his favorite place to sleep is the hammock on the cat tree. He gets along wonderfully with older cats, and his canine foster brother. Are you ready for some magic in your life?